Every fall I begin to work on my nature photography calendar for the new year. ​​Since 2009 I've entered the same process, sorting through the images I've created and reflecting on the beautiful places I've had the joy of exploring. The process may still be the same but 2016 has been a different year. My husband and I had planned on a "staycation" year, where we would spend more time having adventures in our own backyard. We love our Northern home and looked forward to camping at Gregoire Lake, kayaking on our endless bodies of water, hiking through kilometres of trails and plenty of picnics with friends... On May 3rd, our plans changed. The Horse River Wildfire forced the sudden evacuation of nearly our entire region that afternoon. It is difficult to look back and consider all that has happened. But, through it all, there have been some incredible silver linings and an outpouring of love that we will not soon forget. In the early days, many of us had come to grips with the expectation that our houses and neighbourhoods would be gone. Thanks to the heroic efforts of those who stayed behind we still had a community to return to. Returning to Fort McMurray was an emotional homecoming. We are still recovering yet amazingly, in the middle of all this devastation, chaos and heartbreak, there is a beautiful region, still nestled in the boreal forest, welcoming us back. The metaphors for resiliency are astonishing to me as I watch the forest recover. After many hours of pouring through images and reflecting on the last months, I've decided that this calendar will feature my beloved region. Even though our spring and summer resulted in a very different reality for us, every image I've chosen was created during 2016 (over half were created after the wildfire) and showcases the incomparable beauty of nature I encounter here in Wood Buffalo on a daily basis. Whether you call this beautiful place home or have never travelled to our corner of the province, I can't wait to share with you The Regional Municipality of Wood Buffalo that I see. 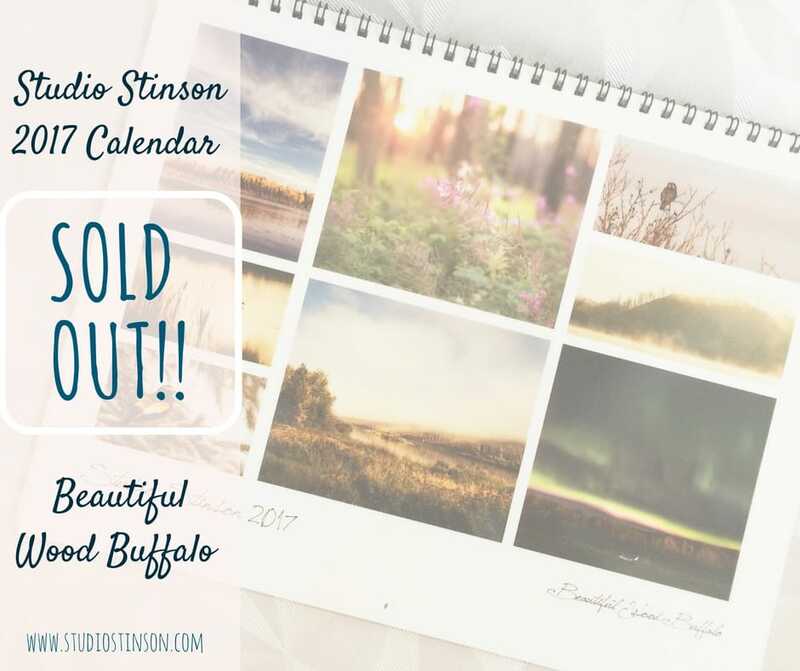 A huge thank you to everyone who purchased my Beautiful Wood Buffalo Calendar. ​Here's to a wonderful 2017!